September 19, 2018 @ 7:30 a.m. - 9:00 a.m.
Join us as our new FPRA State President Gordon Paulus, APR, CPRC leads our board of directors recognition and new board installation. 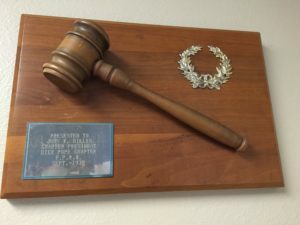 Get inspired during our award ceremony that honors PR excellence within our chapter and watch our chapter’s legacy unfold as the gavel is handed down from past presidents to our new chapter president, Joe McLeod. Early Bird Registration ends Monday, September 17.